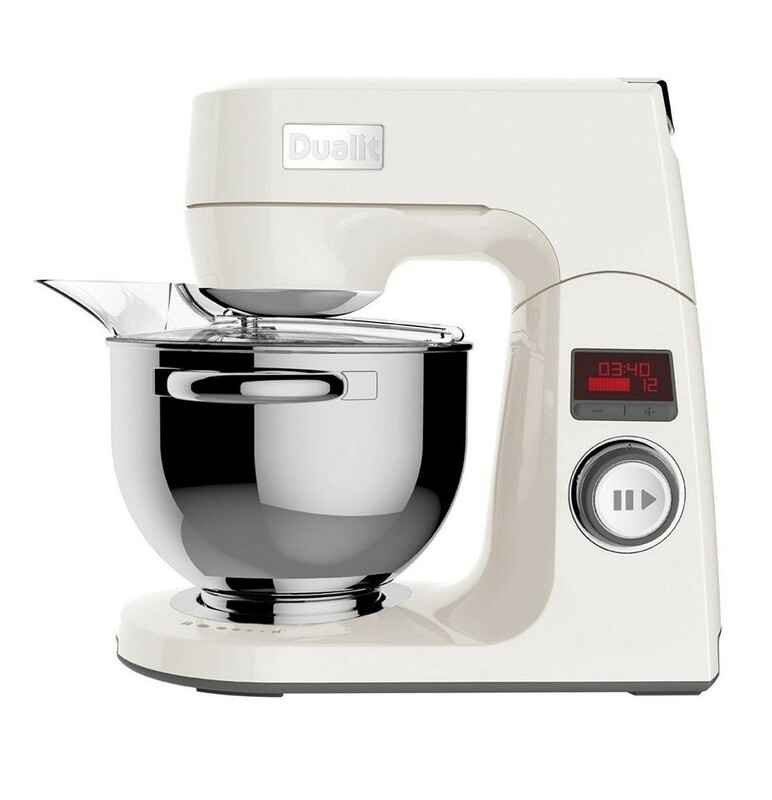 The Dualit 88013 Stand Mixer is the ideal kitchen appliance for people who love to get creative in the kitchen and make delicious home-made foods. The 1000W motor ensures that you achieve the perfect mix with ease no matter if it's cream or dough, the large 4.8 litre die cast bowl allows you to make enough mixture to feed the whole family and the 12 different speeds not only ensure the perfect consistency but also ensure you're always in control. The LCD display clearly displays how much time is remaining on the 20 minute countdown and the planetary mixing action ensures every bit of the mixture is covered.